For all liquid foods and dry food products we can supply rubber suction and delivery food and beverage hose and couplings. All hoses are FDA approved and suitable for cleaning in place applications. 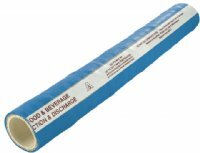 Flexiducting food and beverage hoses are manufactured by Novaflex on stainless steel mandrels for cleanliness and hygiene for all types of food processing industries throughout New Zealand and Australia. Specialising in milk tanker hose assemblies and wine hoses for in-plant applications. A high quality lightweight and highly flexible rubber food grade Milk Hose for the New Zealand and Australian milk processing industries. For suction and delivery of milk for in-plant processing and tanker loading and discharge operations. Temperature Range: -40°C to 71°C. Flexiducting Novaflex Connoisseurs Wine Hose, for the New Zealand and Australian wine industries. Special kink and crush resistant rubber hose, designed utilizing a multi-ply construction with dual special monofilament helix rods. The tube is for non-oily application. Designed to meet the demands of “cleaning in place”. This ultra smooth microbe resistant tube is built on special stainless steel mandrels for cleanliness. Flexiducting NovaBrew is a state of the art designed rubber brewery hose based on the specific requirements of the modern day New Zealand brewery. 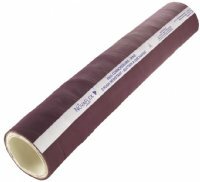 NovaBrew has a rugged but flexible construction with a super smooth white hose tube, for non-oily applications, that is microbe resistant along with a dark burgundy red cover that resists dirt scuffs and is easily cleaned. NovaBrew is built on stainless steel mandrels for cleanliness and meets FDA USDA. Special kink and crush resistant suction & discharge rubber hose, designed for those more demanding applications requiring a product that meets FDA & USDA standards. This tube is for non-oily applications. Designed to meet the temperatures and chemical resistance associated with “cleaning in place” systems. This ultra smooth microbe resistant tube is built on special stainless steel mandrels for cleanliness.